This is the second volume in a series of four books. It covers majority of Guru Nanak’s first udasi, or extended travel, to eastern parts of India. – Guru Nanak reappears from the Bein River and declares that there is no Hindu or Muslim but all are humans and children of the One God. – Nawab Daulat Khan summons Guru Nanak. Guru Sahib tells the Nawab and the Qazi how to be a true Muslim. 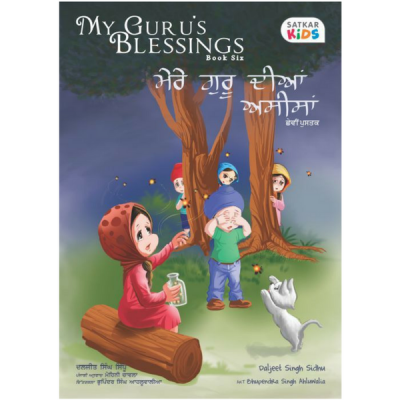 – Guru Nanak declares that he is leaving on a divine mission to spread God’s word and to sing in His glory. – Guru Nanak visits Bhai Lalo at Saidpur. He refuses to eat at Diwan Malik Bhago’s feast because his food is tainted with blood of innocents. 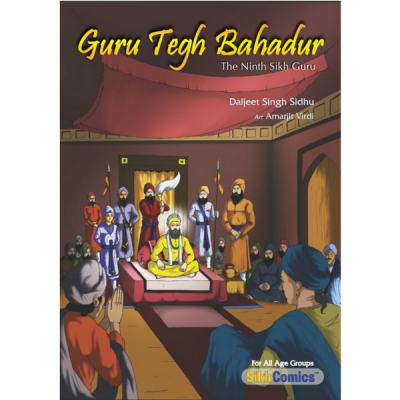 – Guru Nanak visits Sheikh Sajjan, a thug, at Tulumba. 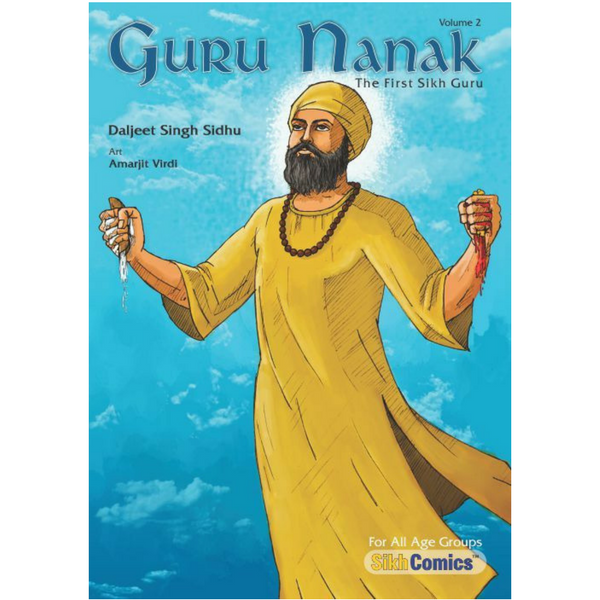 The Sheikh tries to kill Guru Nanak. 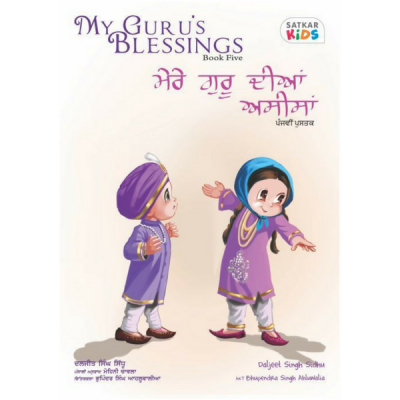 Guru Sahib puts the Sheikh on the path to salvation. – Guru Nanak visits Haridwar and throws water towards his fields instead of at the rising sun. He enlightens the pilgrims about the futility of empty rituals.